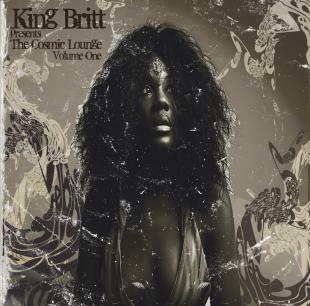 Rarely will you find a talent whose vision supersedes the boundaries of genre, until you have met King Britt. This Philadelphia native has found a way to escape the boundaries of a single category music by expressing his creations through deep house, hip-hop, broken beat, jazz, funk and afro-tech. He has been honing his DJ and production skills for the greater part of a decade. The result: a pioneer of all things soulful, rhythmically textured and melodically provocative. From his start with the Grammy award winning Digable Planets to his productions and remixes for Macy Gray, Tori Amos, Yoko Ono, Femi Kuti, Curtis Mayfield, The O Jays, Gamble and Huff, Destiny’s Child George Duke, Everything But the Girl, Chic, Edwin Star and Ursula Rucker to his own successful projects Adventure in Lo-Fi (BBE), When the Funk Hits the Fan (Ovum/Sony) and the recent ‘This is King Britt (V2) a collection of his remixes, productions and collaborations. To kick start this new series on BBE/Rapster, Britt digs deep into his Jazz collection to bring us his ‘spiritual quest for higher sound’.